www.pmk-bd.org published Palli mangal karmasuchi PMK job circular today. Daily Prothom-alo news paper Noticed this Vacancy news on 03 February 2018. PMK offer total 650 Recruitment in there circular. 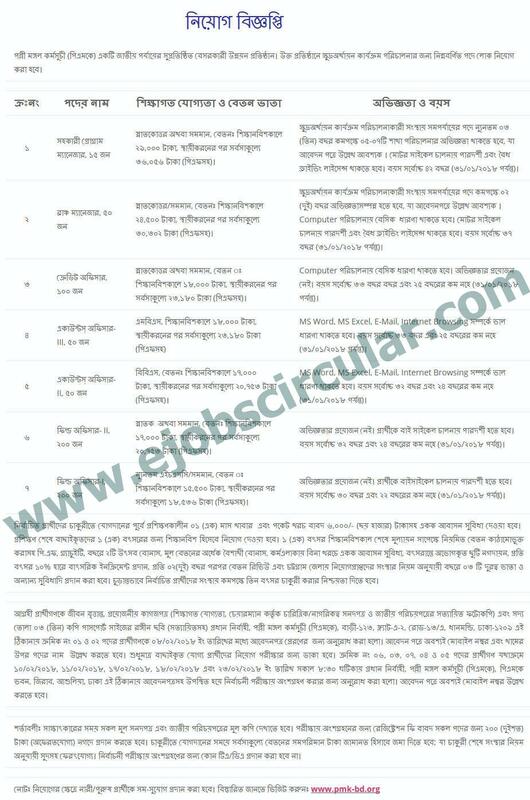 www.ejobscircular.com ngo job circular published on 03 February 2018 .HSC/Degree/Honours Student can apply this job. Computer Opperator, Credit Officer, Accounts Officer, Field Officer etc post available at BD PMK circular. Application Last Date : 8 – 23 February, 2018.